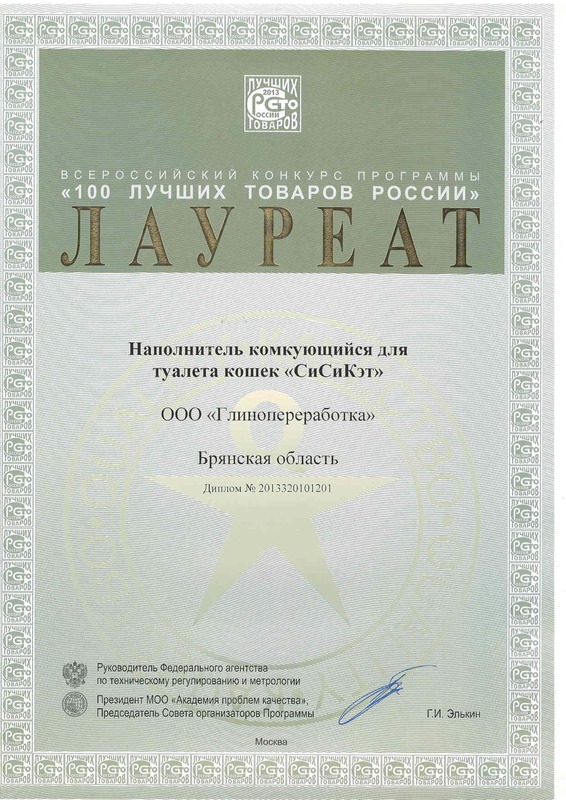 Clumping - cat litter does not require complete replacement, toilet of animal remains constantly clean. 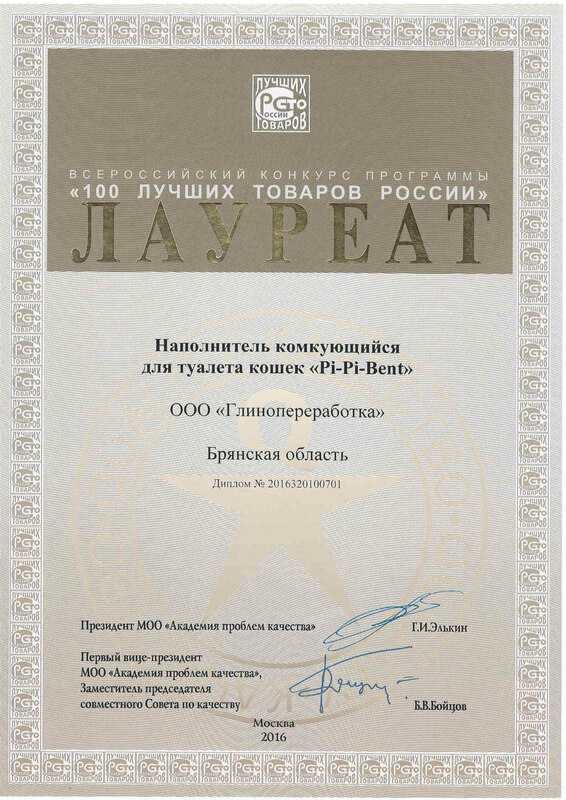 Economy and efficiency in use. 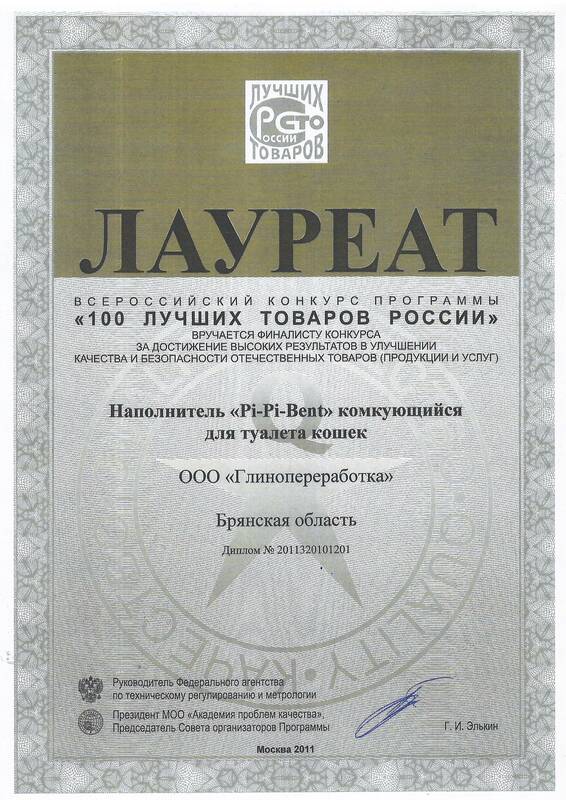 100% pure wood, 0% bark content. 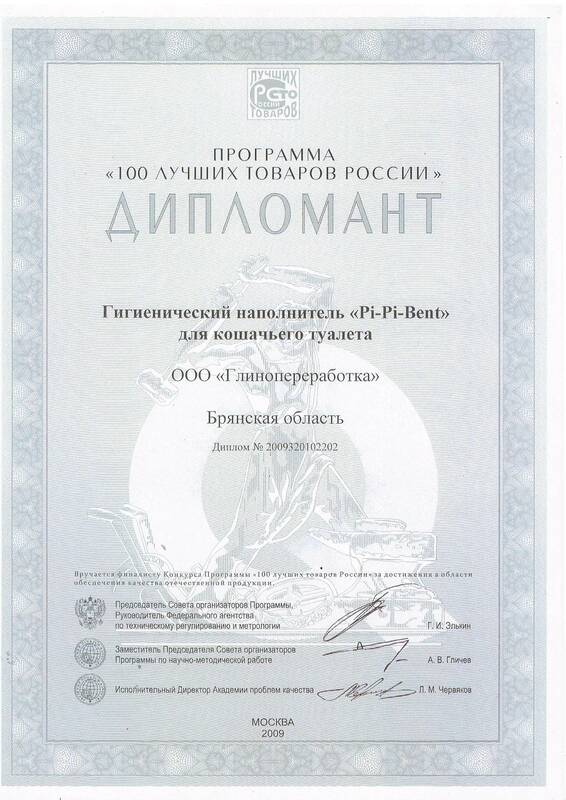 The company LLC "Glinopererabotka" is the largest domestic manufacturer of high quality cat litters from natural bentonite. Plant in Bryansk performs a full production cycle. 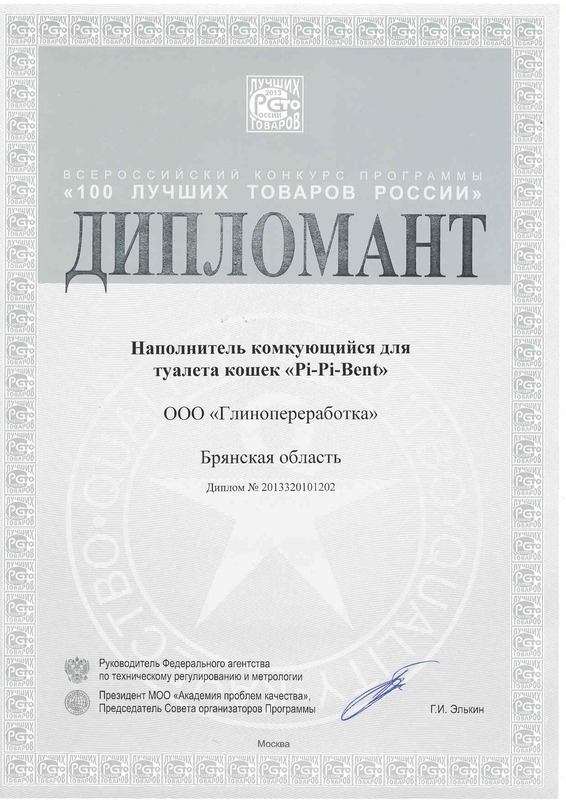 The company produced bentonite cat litters since 2004, and in 2007 company started the production of the absorbent cat litters from silica gel and wood fillers. 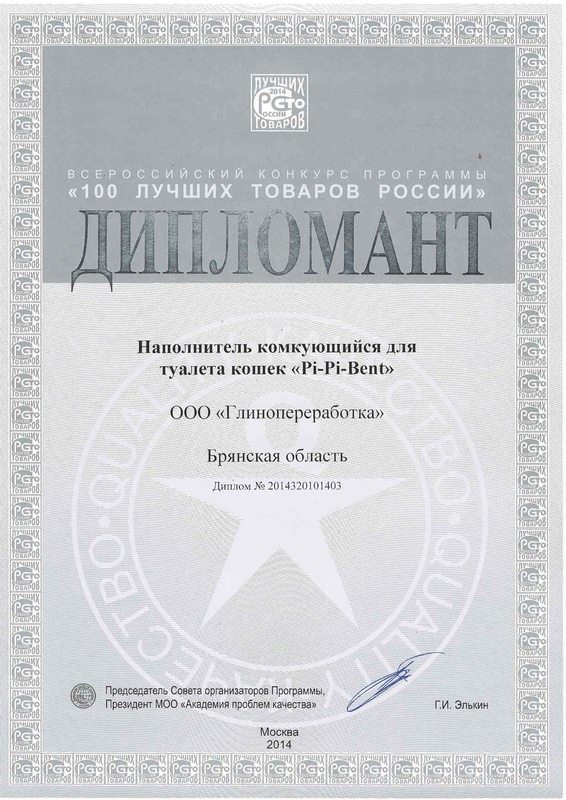 Cat litters of the company LLC "Glinopererabotka" are sold under the brands: Pi-Pi Bent Deluxe, Pi-Pi Bent, Kotyara and SiSiCat. 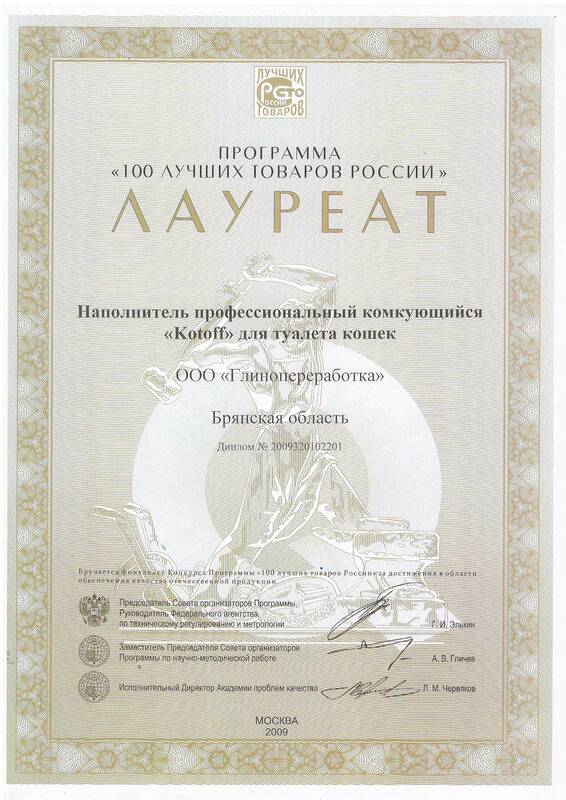 The product range is over 20 items with wide price range. 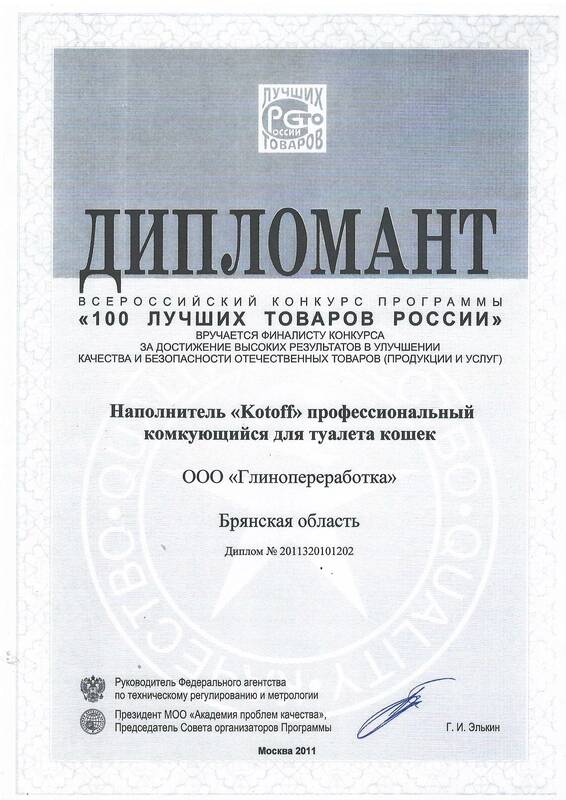 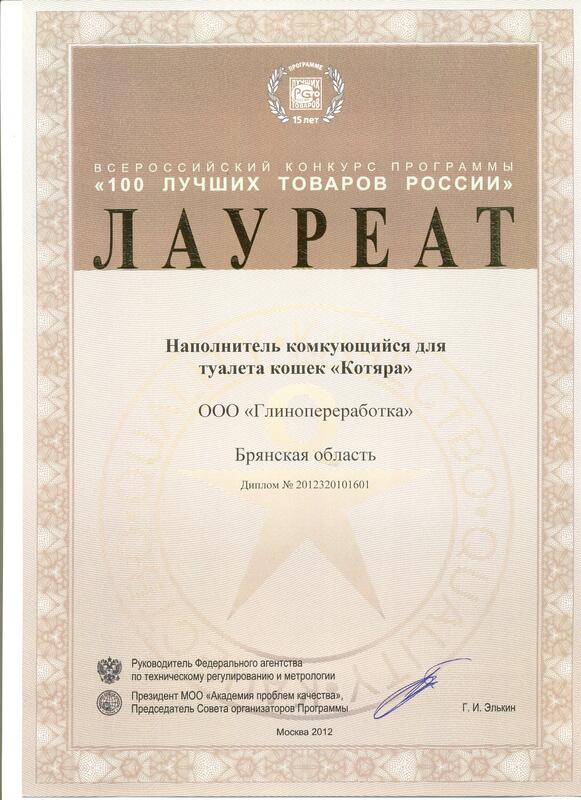 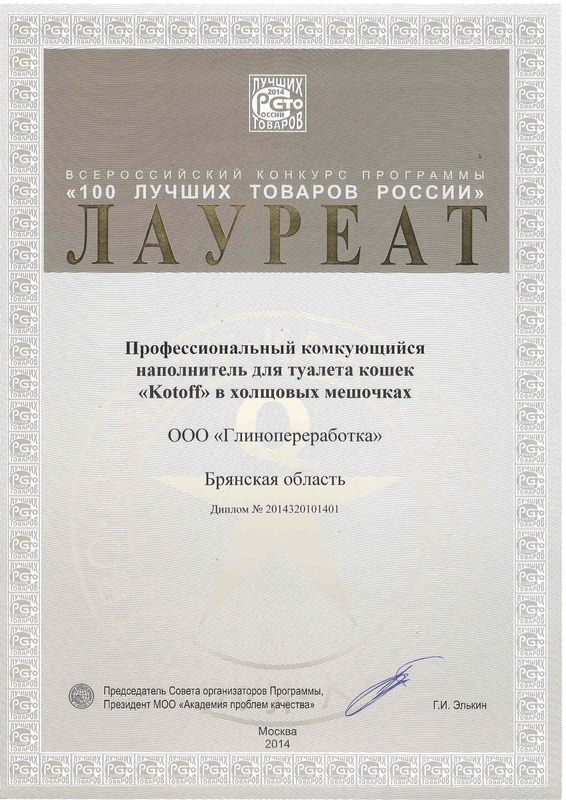 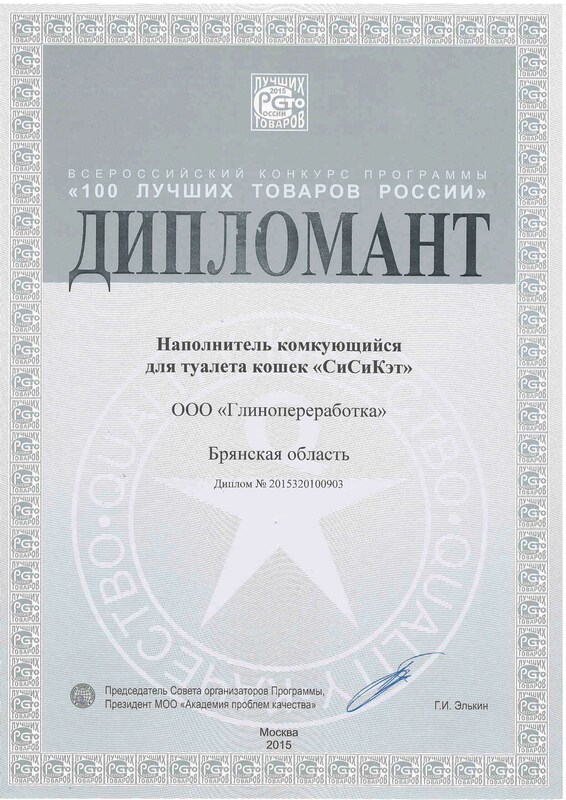 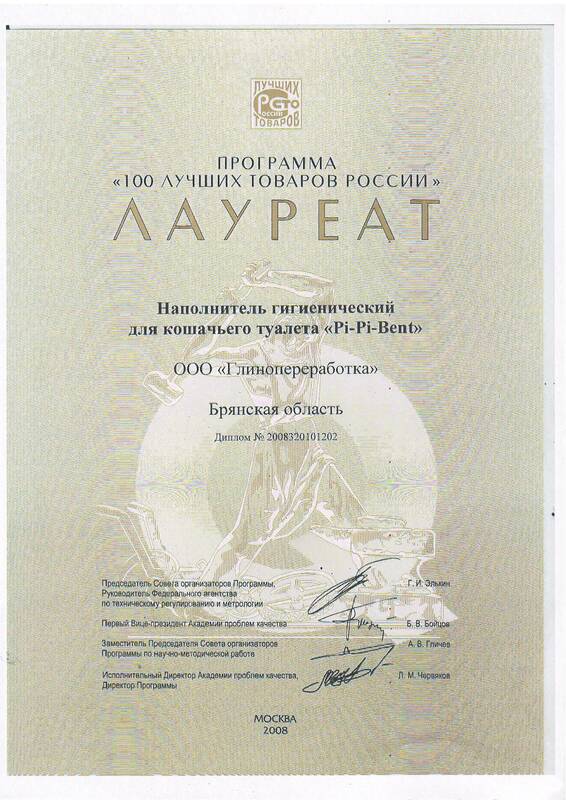 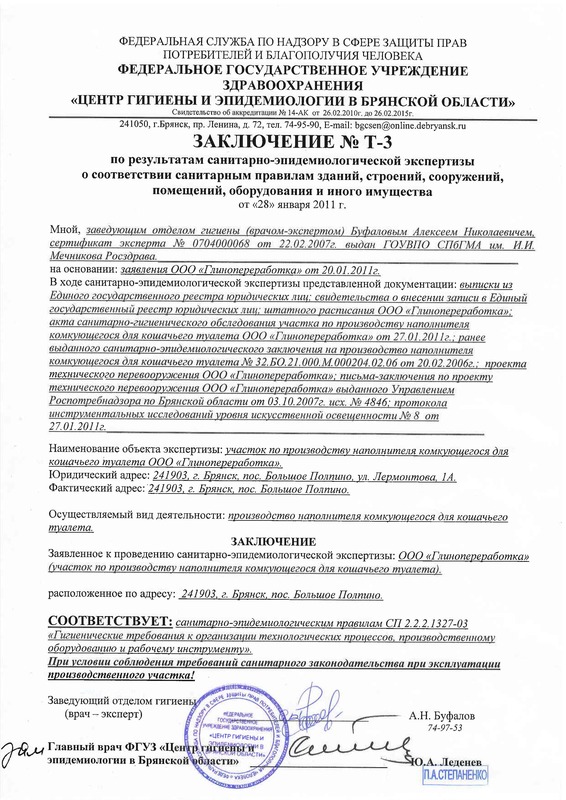 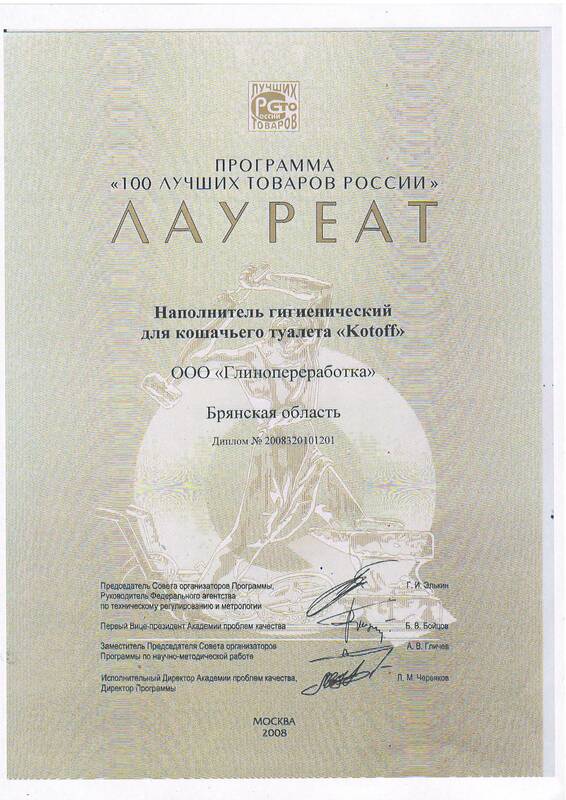 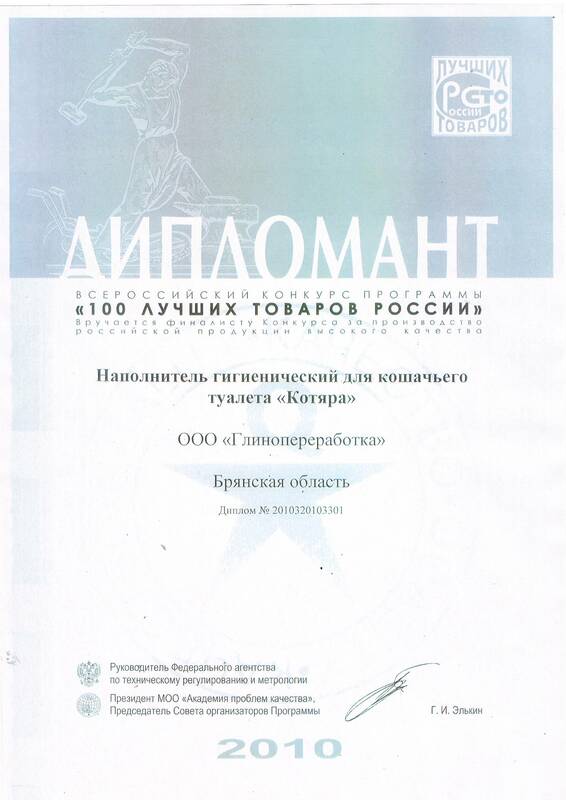 The quality of our cat litters are annually confirmed by awards at the Federal competition "100 Best goods of Russia". 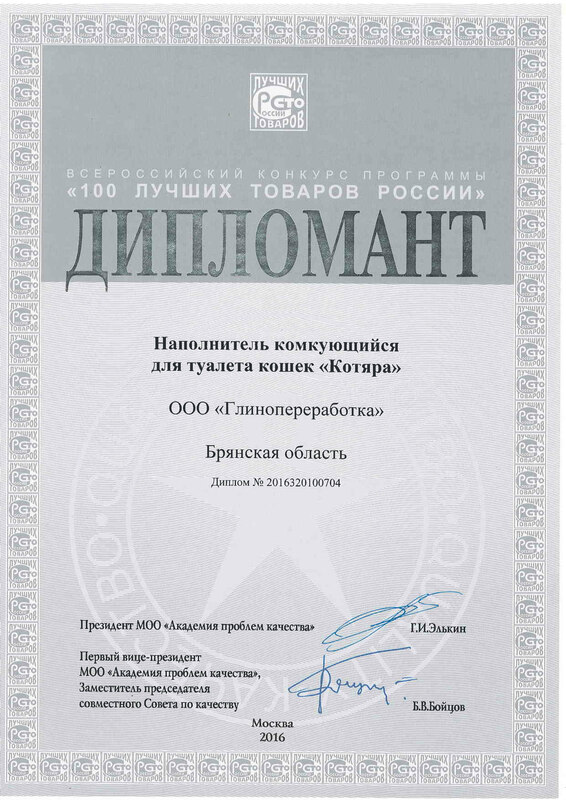 The company has implemented a quality management system according to ISO 9001:2015. 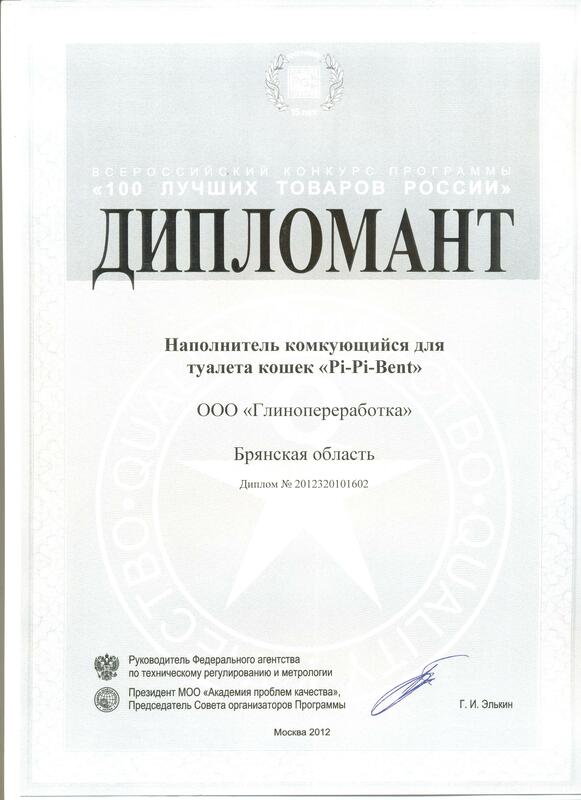 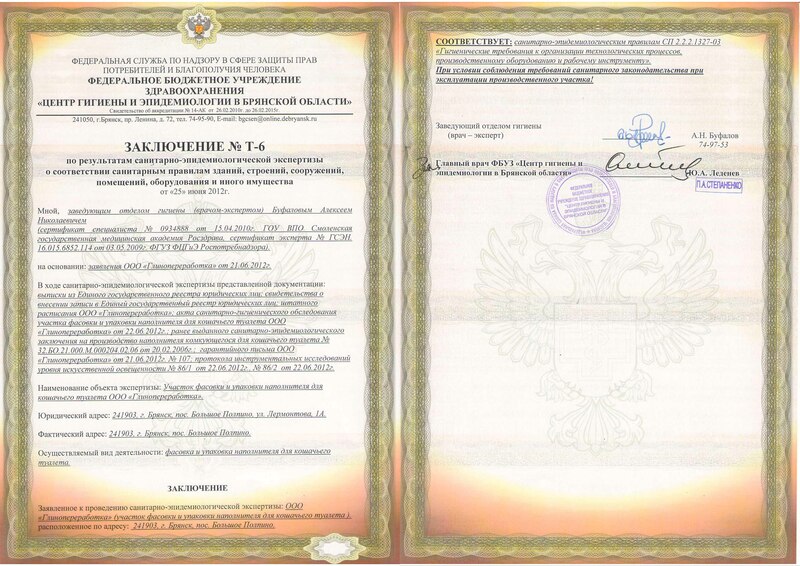 LLC "Glinopererabotka" received awards for contribution of domestic goods promotion on foreign markets! LLC "Glinopererabotka" received two awards for achievements in export sales of cat litters in the May 2016. 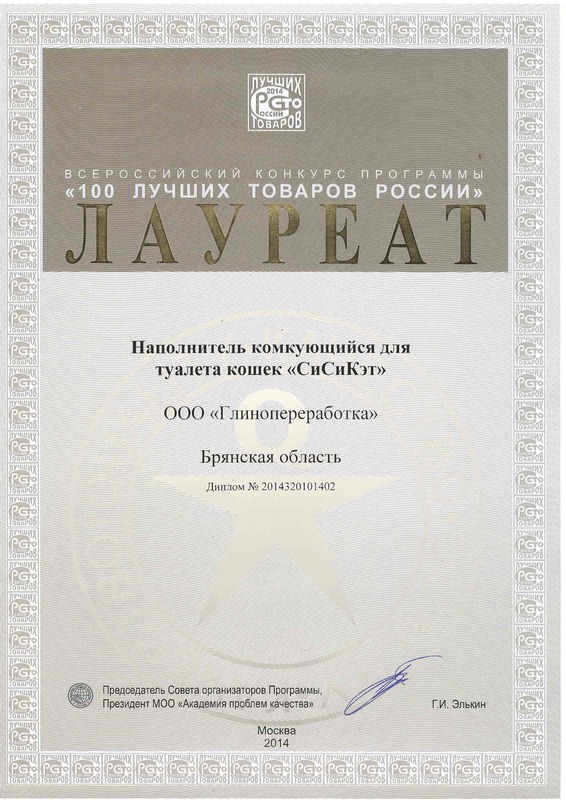 We won the regional stage of the competition National prize in the field of business activity "Golden Mercury" by the end of 2015 and became the winner in the contest "Best entrepreneur of the Bryansk region"! 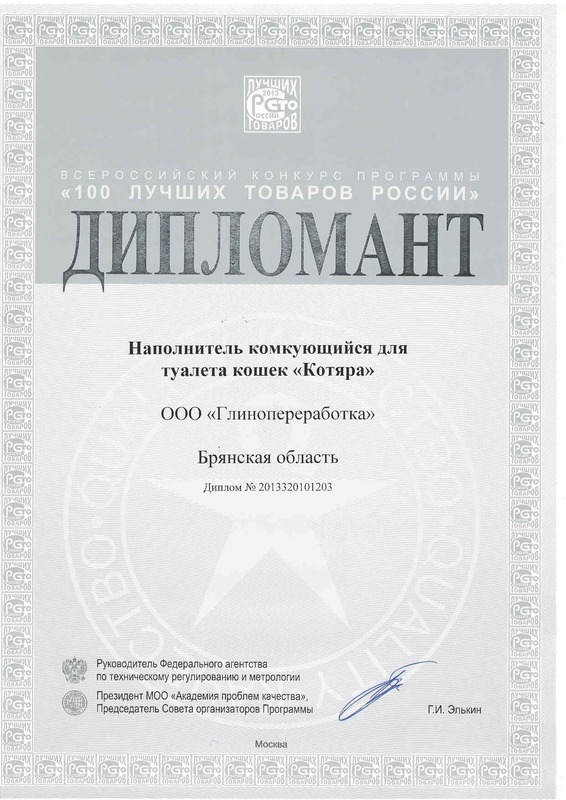 Introducing the new product in the line of cat litters, Sisikat! 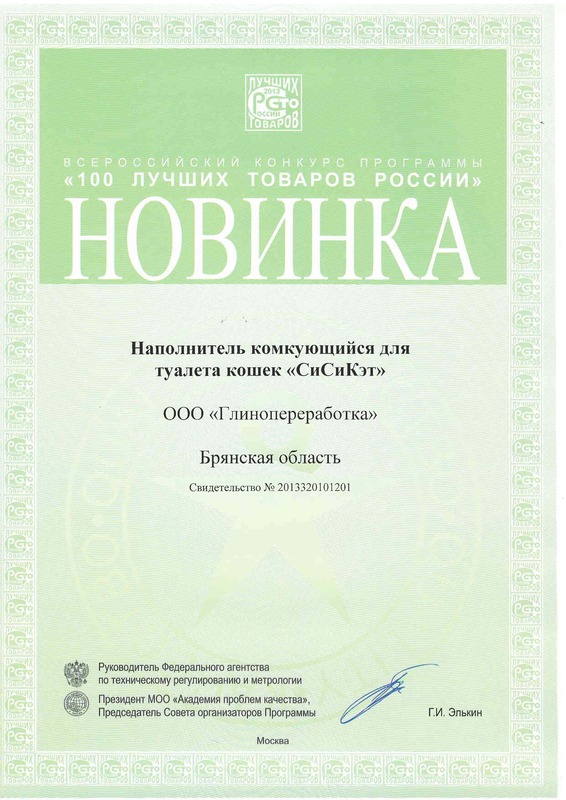 Wood SisiCat cat litters (8L) is made from fresh sawdust of coniferous trees without artificial additives.